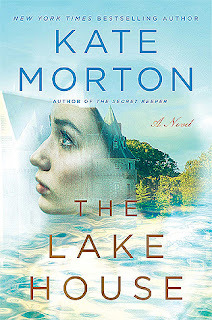 The Lake House is the first Kate Morton book I've picked up and I LOVED it. Coming in right under 600 pages, it can be a little intimidating to some (me included), but don't let the page count scare you away. I fell head first into this book and couldn't put it down, and when I did put it down... I couldn't stop thinking about it. The story follows several characters across three generations. Each of the characters are somehow tied to the Lake House, and each of them have their own secrets to hide. I loved the intense detail and depth that Morton gave to each of the leading women. She often flipped back and forth between the past and present as well as jumping between several points of view. The story is told slowly with immense details, and Morton reveals little clues here and there until the reader is able to draw their own conclusions. I loved how at the beginning of the book I had no idea how it was going to end, but as it the story went on I was able to put some of the pieces together. There were so many different theories, twist, turns, and surprises throughout the story and they all lead to the most perfectly formulated ending. Everything falls together so neatly that I had to just sit and take it all in when I finished. I am so glad I picked up this novel. Morton is a fantastic writer and I will be sure to read more of her work. If you are interested in mystery novels with lots of curve balls, a little romance, a clear cut ending then I would highly recommend this book to you. *I received this book in exchange for an honest review from Atria Books | Simon & Schuster.